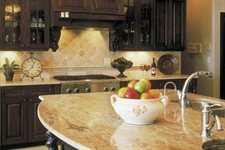 Houston Granite and Flooring requires a deposit of half of the estimated price. This payment takes place at the time of signing the contract, this insures that your project is completely fabricated and ready for installation. We Do Not Want The Balance Unless You Are Completely Satisfied.